Break up your 10,000 steps with these perfect Route 1 pit stops. 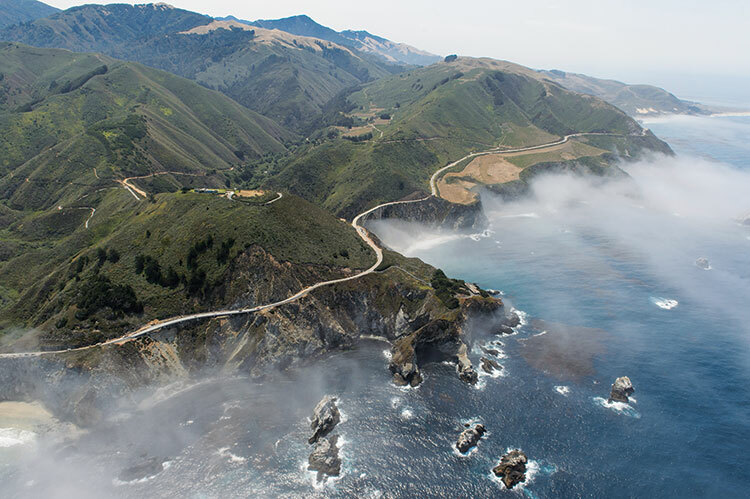 California’s Route 1 has long been heralded as one of the best road trips in America, if not the world. And the recent release of HBO’s Big Little Lies helped remind us that beyond the pensive stares of a coven of Academy Award–winning actresses lies a stark, moody West Coast landscape blending the best of Ireland and Hawaii. 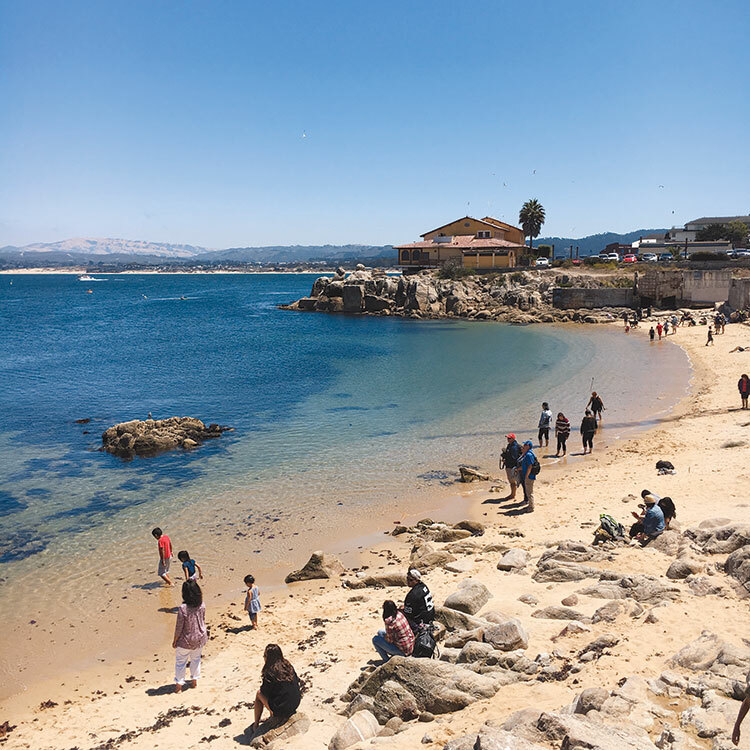 Rather than zipping straight down from San Francisco to Los Angeles, consider going slow, especially in Monterey County, which pairs quaint townships with memorable seaside hikes. Here’s how to make the trek. 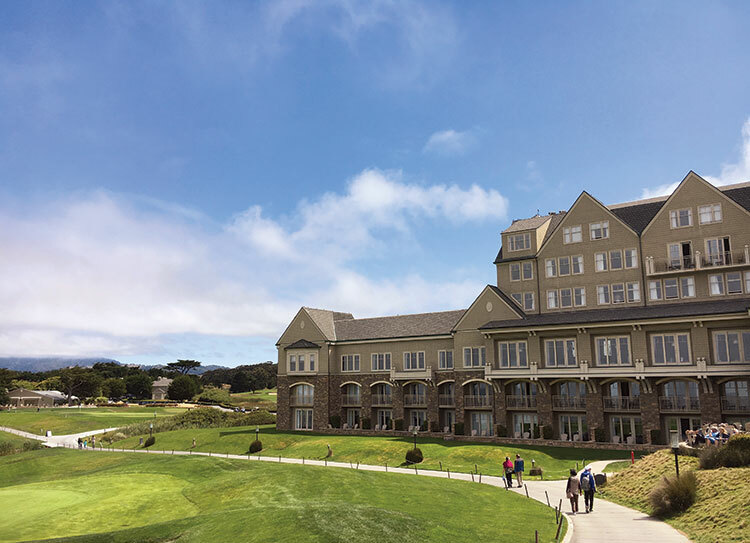 Perched on a mossy cliff overlooking the Pacific, the Ritz-Carlton Half Moon Bay feels more like an inn in the British Isles than a clubhouse for weekending SFers, especially when the house bagpiper serenades the grounds—kilt and all—as the sun dips below the horizon. S’mores packs are dutifully dispatched for roasting around the fire pit, but don’t ruin your dinner; Navio, the property’s restaurant, is a destination dining experience with contemporary seasonal cuisine that highlights the freshness and natural flavors of its produce. Start with an assortment of technicolor veggies, then take your cue from the water views and try the ahi ribbons or any of the other seafood options. The Walk: Follow the path south of the property, and after you pass the perfectly manicured golfing grounds, you’ll find the Cowell-Purisima Trail, which rides the undulating bluffs as they arc along the sea, periodically giving way to a hidden beach. Although Cannery Row has a certain Disney-esque quality, the rest of Monterey feels welcoming and sincere, like no-frills Sea Harvest, a market and restaurant that’s thin on decor but nails a tasty fish sandwich and fried clam strips. Drift off to the sound of snoring seals at the Monterey Bay Inn, positioned directly on the bay with views out over the water and city. And be sure to explore coastal California’s underwater world at the Monterey Aquarium, with its touch tanks, panoply of sharks, and mesmerizing jellyfish exhibit. The Walk: Facing due west directly out to sea, the Asilomar Coast Trail hugs the shoreline so closely that during your stroll, you’re likely to get splashed. The terrain mixes patches of sand with dark, coarse boulders—it almost feels like you’re ambling along the quiet eastern recesses of Maui. A sloping hamlet under a Franciscan mission, Carmel-by-the-Sea is the high-end antidote to workaday Monterey. Its houses seem to be plucked from a fairy tale—one wouldn’t be surprised to find that the gingerbread trim is actually made of gingerbread. Embrace the Nancy Meyers fantasy and check into L’Auberge Carmel, with its distinctive white brick facade and olive shutters. Built in the 1920s, the property retains much of its retro glamour with tasteful older furnishings and an interior courtyard built for afternoon cocktails outdoors. The onsite restaurant, Aubergine, could best be described as an eating event, with its parade of eight small prix-fixe showstoppers. For something more down-to-earth, try dinner down the road at the family-run La Balena, which draws travelers and locals alike. The chef-owner sources his produce along the coast and in the valley, and is famous for his crispy pollo fritto cooked in rice oil. 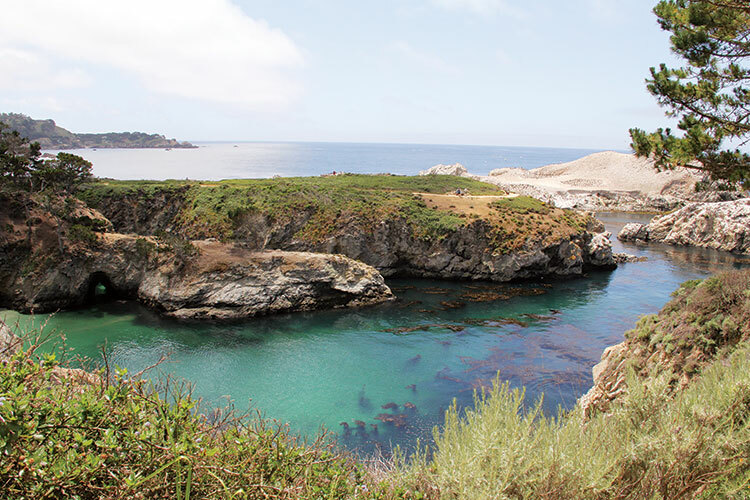 The Walk: Directly south of town, the Point Lobos State Natural Reserve is a small peninsula with a spider’s web of paths crisscrossing the coast and its tree-studded interior. Follow the rocky shoreline past an old whalers cottage as the cliffs rise and fall between coves—some tinged with California sun, others asleep under a duvet of fog. Big Sur had a strange summer: The collapse of a small bridge essentially sliced the area into north and south sections. The region’s usual traffic came to a screeching halt, turning drivers-through into hikers who parked their vehicles at Pfeiffer Beach and walked up and over—directly along the carless Route 1—to make the pilgrimage to Nepenthe for one of its famous cheeseburgers and to rummage through the trinkets in the boutique downstairs. Glen Oaks doubles down on the area’s woodsy allure, with its mod cottages set up right along a gurgling interior river. The Walk: Name-checked in works by both Steinbeck and Kerouac, the Dark Watchers are the shadowy guardians of the California coast, particularly in the Big Sur area. Like Sasquatch, their existence is hotly debated. 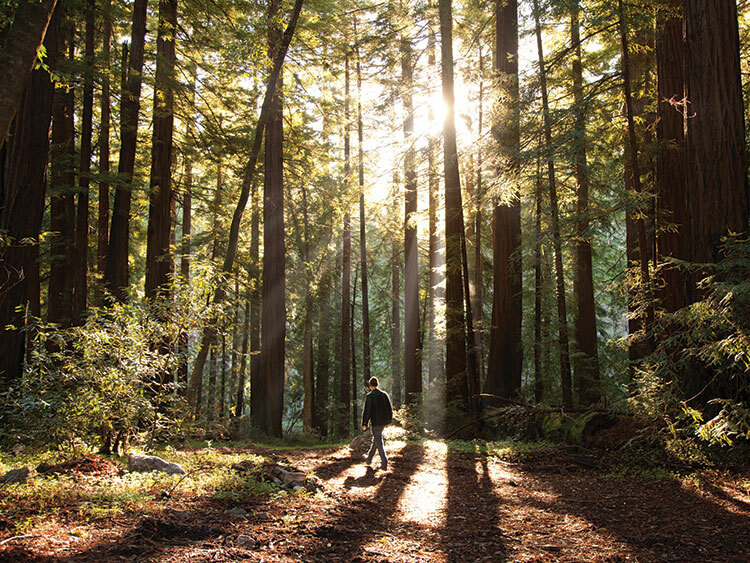 But hiking along the trails of Pfeiffer Big Sur State Park—which wind up into jagged, turfy highlands and down along the boulder-strewn shores—you’ll be tempted to believe they’re real.